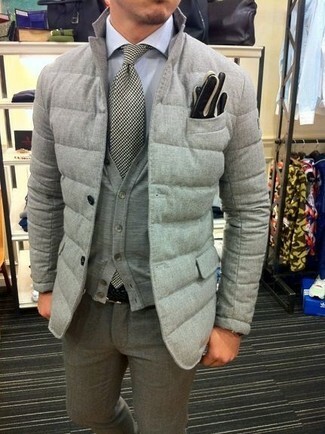 For a nothing less than incredibly stylish ensemble, wear a grey quilted blazer and berle pleated houndstooth wool trousers. 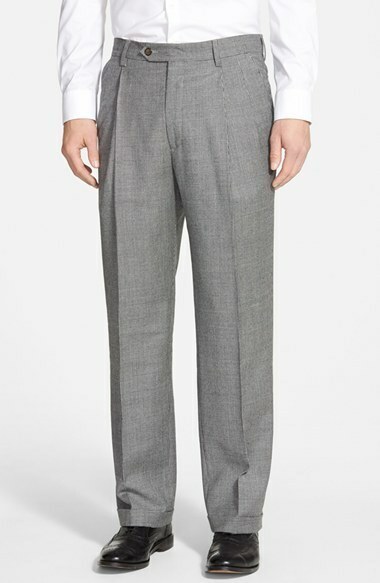 For a nothing less than incredibly stylish look, consider pairing a grey check overcoat with berle pleated houndstooth wool trousers from Nordstrom. Black suede derby shoes will deliver a casual vibe to your look. 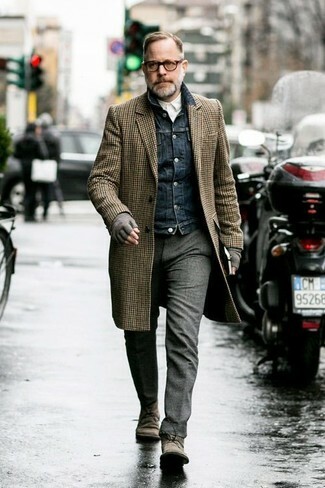 Wear an olive quilted bomber jacket and berle pleated houndstooth wool trousers for a classic and refined silhouette. 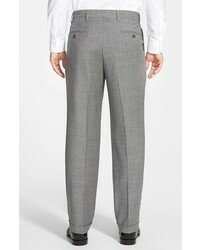 For a nothing less than incredibly stylish ensemble, pair a dark brown blazer with berle pleated houndstooth wool trousers from Nordstrom. 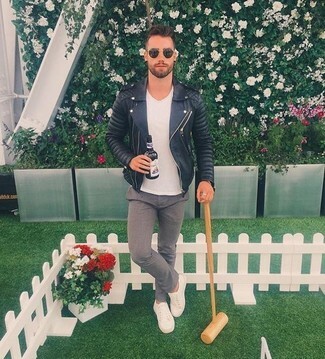 Channel your inner Ryan Gosling and make dark brown leather oxford shoes your footwear choice to class up your outfit. Opt for a brown gingham overcoat and berle pleated houndstooth wool trousers for a classic and refined silhouette. 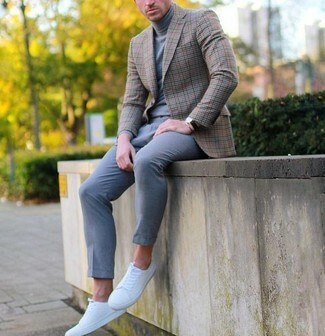 Grey suede desert boots will deliver a more relaxed feel to your look. 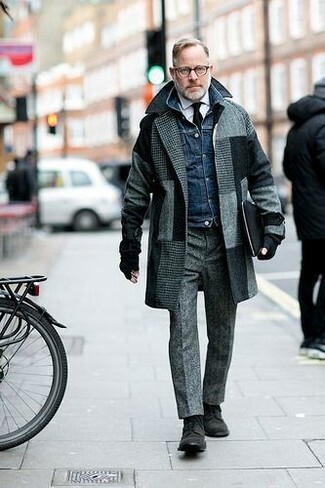 For a nothing less than incredibly stylish getup, reach for a grey herringbone overcoat and grey wool dress pants. Make your outfit more fun by complementing it with dark brown leather brogues. For a casually elegant getup, try teaming a black leather biker jacket with berle pleated houndstooth wool trousers from Nordstrom — these items play well together. Make white leather low top sneakers your footwear choice for a more relaxed aesthetic. 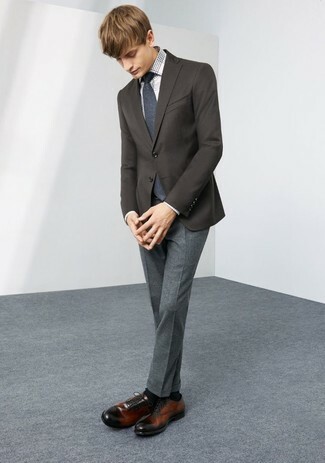 For a nothing less than incredibly stylish outfit, make a brown plaid blazer and berle pleated houndstooth wool trousers from Nordstrom your outfit choice. Why not add white low top sneakers to the equation for a more relaxed feel? 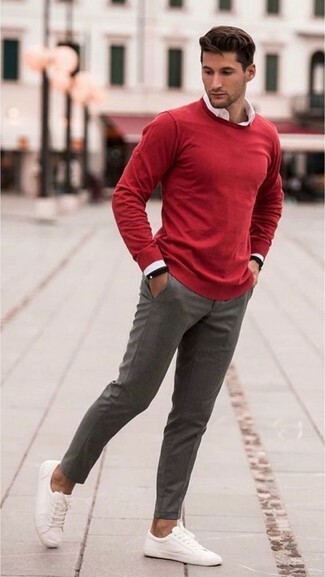 Dress in a red crew-neck sweater and berle pleated houndstooth wool trousers for a sharp classy look. White canvas low top sneakers will add a casual vibe to your outfit.